Stress is a physiological response to (life-)threatening situations and events, where the risk of severe attacks is very high. If the stress reaction sets in, then a dangerous incident is probable, imminent, or has occurred, although it may not be possible to identify the specific threat. The control loops responsible for the stress reaction are a kind of security or alarm mechanism, which mobilizes all available resources for Fight-or-Flight situations. When our ancestors lived in caves, it was certainly helpful to have an alarm system which mobilizes all bodily resources in case you meet a cave bear. In order to fight the bear or run for your lives, the stress response increases the heart rate and the tension in the muscles. The immune system is inhibited and there is a decrease in resources directed to the digestive system. If you are in a life-or-death situation, it really doesn’t matter if your body is digesting the sandwich from yesterday or fighting a minor microbe. It was certainly an evolutionary advantage to have an alarm system which activates all physical resources on demand. Therefore stress can be considered as an adaptation to uncertain and disruptive environments where large peaceful periods are sometimes disrupted by extremely dangerous threats which require immediate reaction. 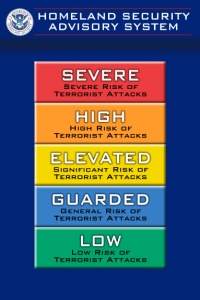 Stress is an adaptation to terror (similar to the threat levels of the Homeland Security Advisory System, which are an adaptation to the terror attacks of September 11th). Every security system which must react to accidents or catastrophes has similar levels of alertness, for example the coast guard which has Maritime Security (MARSEC) Levels, or the ACT Emergency Services Agency in Australia which has Bushfire danger levels. 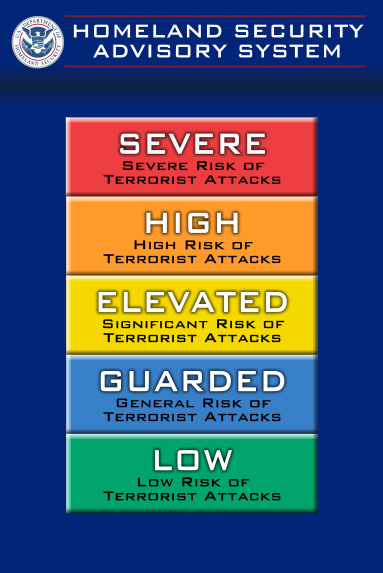 “Terroristic” environments are in general too peaceful to pay the price of constant alertness (which would lead soon to total exhaustion), but they are also too dangerous to neglect the possible threats completely. Stress is an efficient trade-off between high resource usage and low reaction time for the security or alarm system. The higher the threat level or the alertness, the lower the period of time where protective security measures can be maintained without high costs. P.S. Vigilance can be considered as an adaptation, too. Suricates and antelopes for instance have high vigilance, they spent a large proportion of their time looking around for possible threats, which is useful because they are in their position at the low end of the food chain constantly threatened by dangerous predators. Lions sleep most of the time, which also makes sense because they are not threatened at all.